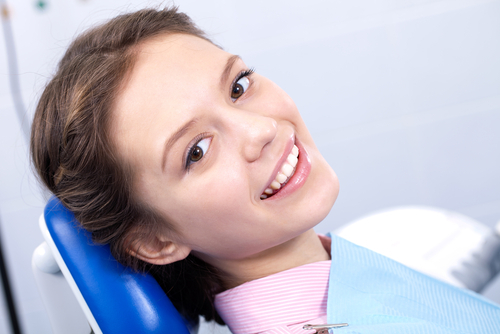 Regular dental exams are essential for the maintenance of healthy teeth and gums. Our dentists recommend that you schedule a visit to your dentist every six months and work to keep your teeth and gums clean and healthy. During your initial dental examination our dentists and hygienists will take full-mouth dental x-rays to assess the health of your teeth and gums. A dentist, or one of our experienced dental hygienists will examine each tooth for cavities, periodontal disease, plaque and tartar build up. Checking for gum recession and tooth decay is just a small part of the overall dental examination. Your dentist (or dental hygienist) will also perform a head and neck examination and closely examine your mouth for indications of oral cancer, diabetes or signs of possible vitamin deficiencies. During the dental examination, our dentists may also examine your face, bite and lower jaw movement to look for signs of TMJ disorder. 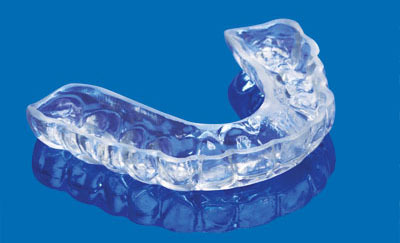 Dental x-rays will not be required at every visit, your dentist will discuss if a new x-ray will be needed. Typically, a full-mouth x-ray every 2-3 years is sufficient. Dental x-rays are pictures of the teeth, bones and soft tissues surrounding them. X-rays can show hidden abnormalities such as cavities and hidden structures such as wisdom teeth, as well as a bone loss that cannot be seen during a regular dental examination. Dental x-rays are harmless as they use minimal radiation. Bitewing X-Rays: show the upper and lower back teeth and identify areas of decay between the teeth. This x-ray also shows how the upper and lower back teeth touch. Periapical X-Rays: show the entire tooth from crown to the bottom of the root canal. These x-rays are used to find problems below the gum line or in the bone. Occlusal X-Rays: show the roof/floor of the mouth and are used to find teeth that are hidden (haven’t erupted), fractures, abscesses and other hidden or abnormal growths. 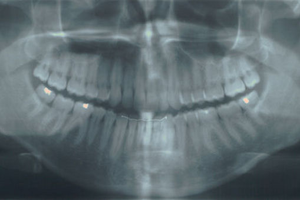 Panoramic X-Rays: show a broad scope of the teeth, jaw, sinuses, and jaw joints. These x-rays do not find tooth cavities. 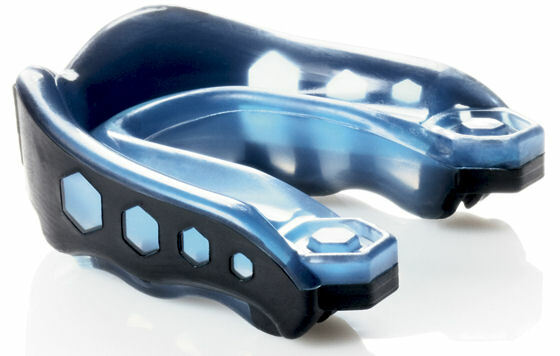 They do show impacted teeth and other structural abnormalities in the bone. A full series of Periapical x-rays are usually performed during your first dental exam. Bitewing x-rays are performed during routine checkups to look for tooth decay. X-rays will be performed based on age, risk and medical history. After your comprehensive dental examination, one of our professional dental hygienists will perform a thorough teeth cleaning procedure. This twice-yearly cleaning will supplement the brushing and flossing you do at home. After the examination and cleaning, your dentist will inform you about the overall health of your teeth and gums, and then highlight any areas for concern (if any). It is very important that you see your dentist for a routine dental exam every six months to ensure your teeth and gums remain healthy. Early detection of problems such as bone loss, gum disease and tooth decay will save you discomfort and money in the long run.